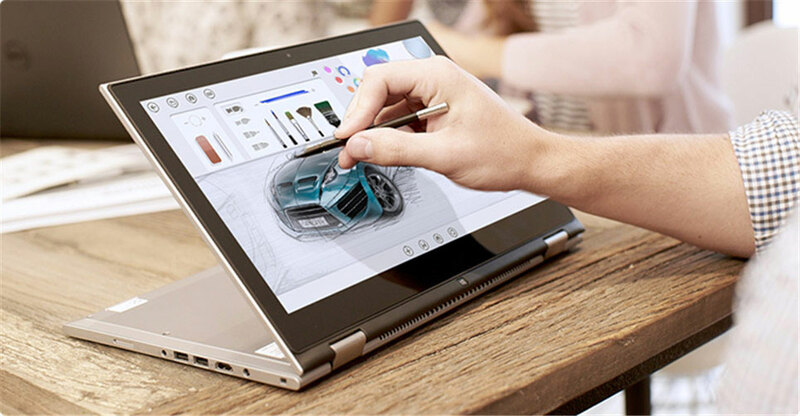 The new Inspiron 13 7000 Series 2-in-1 combines powerful performance of a premium laptop and versatility of a 33.7cm (13.3) tablet with built-in stylus. Here to help - Choose a Dell PC equipped with MaxxAudio® by Waves to use Cortana3, your own personal digital assistant. Using Cortana with a Dell PC equipped with MaxxAudio by Waves gives you a natural voice interaction experience. Peak performance: With up to a 6th Gen Intel® Core™ processor, the Inspiron 13 packs a robust performance. Count on plenty of power for loading apps or editing photos. 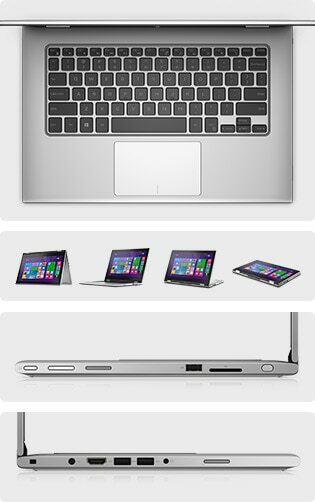 Stay charged: The Inspiron 13 keeps up with your needs with long battery life, up to 6 hours, and energy efficient processors and graphics5.